Natec Genesis GM56X is an inexpensive gaming mouse. Equipped in good quality optical sensor, capable of operating up to 3200 DPI, which provides very much needed convenience and precision during intense gameplay. 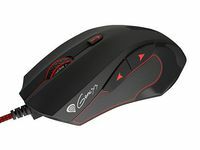 GM56X has 4 degrees of mouse sensitivity adjustment. Thanks to that, dynamic DPI change is as easy as it can be – no need to stop game and using any additional software, It’s just one click! DPI button placed on the device allows you to promptly change sensitivity, without wasting time on configuration. Thanks to Rapid Fire, you’ll be able to fire three bullets after just one click. All FPS maniacs will appreciate it for sure. That’s awesome feature, very much needed in all kinds of shooter games. Win the battle in no time! 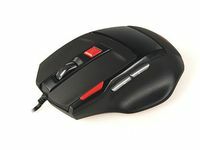 Thanks to ergonomic shape, comfortable side grips, and increased weight, mouse fits all hand sizes. G55moves smoothly over almost every surface, minimizing fatigue, which makes it perfect for long gaming sessions. 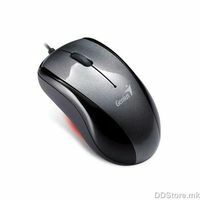 Always-on mode is a feature that prevents mouse from turning off the sensor completely. As a result, device reacts in no time after being idle. Good quality materials and solid construction, and gold plated USB connector are providing durability essential for every active gamer.